Wearable technology has quickly expanded and progressed into becoming commercially available across a wide range of accessible retail websites for the mass consumer. In more instances, wearable devices are playing a vital role in pioneering work in healthcare, rehabilitation and sporting advances, being at the forefront of not only providing a new level of entertainment for the general public, but also as a key significant tracker to help aid the improvement of people’s productivity and lifestyles overall. The phrase “wearable tech” has excelled itself, surpassing being defined by variants of the original “smartwatches” e.g. the Apple Watch, to offering affordable and practical access to a wide variety of possibilities. The first traces of immersive multimedia date back to pre-1950s, when the idea of the possibility to submerge oneself into a computer simulated reality was merely fiction and a speculation of an almost impossible creation for the future. 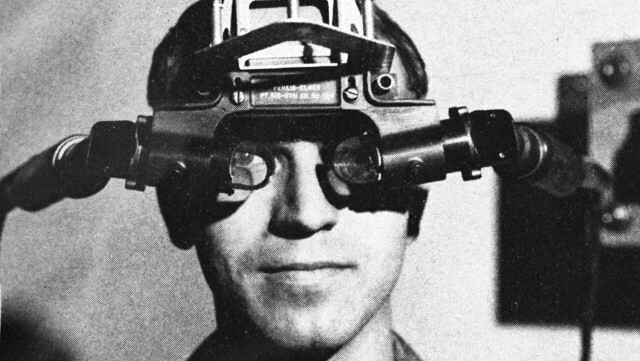 The 1960s saw the first virtual reality and augmented reality HMD (Head-Mounted Display), displaying graphics comprising of simple wire-frame model rooms. In modernised times, virtual reality can easily be purchased and integrated into every-day life. The VR design has been adapted to be comfortable and wearable. Brands like Oculus now market themselves to the general public, radically redefining digital entertainment. Throughout the 2000s, computer-simulated reality software has been widespread. Brands like Nintendo, Facebook and Sony become a patent for VR softwares, supporting some of the most innovative VR products to enter the new market. A majority of virtual reality advances are made in the entertainment industry, making more previously controller based games accessible and responsive with VR HMD. Despite this entertainment factor, VR has become an increasingly crucial aspect of training (particularly used in the Air Force to create a fully immersive flight simulation), architecture (working in the conversion of CAD (Computer Aided Design) files to viewable and responsive files via VR HMD) and retail (allowing consumers to see furnishing through a VR HMD software). The VR software is becoming increasingly adaptable for different scenarios, also encompassing an aspect of sensor reality, which makes it an innovative investment for various sectors. There are a multitude of possibilities for VR advances, and this wearable technology will continue to adapt and become a fundamental aspect in modernised lifestyles. One speculation for future advancement in VR technology is the integration of sound. VR audio developer Varun Nair pointed out that many game audio principles, especially those related to FPS games, suffer issues in virtual reality. This is a challenge and ultimately a new potential that will undoubtedly be harnessed by future prototypes of VR HMD. The advances and reliability in wearable technology has also helped to form a staple part of medical research and rehabilitation. A notable example of this was the advancement of Parkinson’s disease research, where a blend of wearable technology and Intel algorithms played a staple part in providing an electronic time stamp of the correlation between a patient’s behaviour and their activities, emotions and medication. Wearing sensor-based wearable electronics can help provide a rich data-set for the medical industry’s neurologists, mathematicians and data analysts, supporting the pioneering process of understanding the mannerisms of complex diseases and furthermore contributing to the end goal of rehabilitation. Researchers are constantly evolving wearable technology to provide aid for a multitude of illnesses, offering a new and dynamic way to help provide support and care for the public. Advancements in integrated circuits could transform healthcare wearables, a key part of this is facilitating the monitoring of patients remotely and wirelessly, therefore enhancing patient comfort and cutting the need for cables and wires in a hospital or respite environment. All of this potential would not be available without wearable technology. Companies such as Cerora have developed a wearable headband and software system, that focuses specifically on brain injury detection. The product itself is engineered by world experts in neurology and neuroscience, essentially changing the paradigm of brain health assessments. Furthermore, in recent times, researchers have been able to develop a low-power wearable system to aid asthma sufferers, comprising a new device that includes sensors to help monitor the patient’s movement, heart rate, respiratory rate and oxygen in the blood. 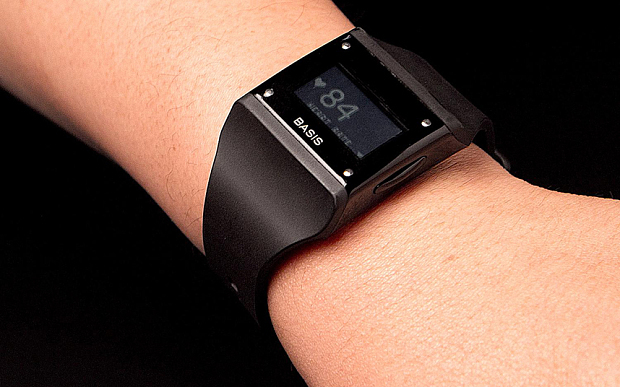 This gadget is a considerably more advanced version of the typical smartwatches. Ongoing developments and advances in the inclusion of wearable technology in healthcare and rehabilitation are continuously growing and making medical history. It is hoped that by using wearable technology, there can be a severe improvement in the way that the healthcare system monitors and cares for patients. Wearable technology has become a staple part of improving the lives of people living with health issues across the globe, and will continue to shape the medical field. Catapult Sports Optimeye devices, which collect data on acceleration, position, direction and, most importantly, the impact of sporting collisions. Wearable technology provides a ream of data, which is a vital part of creating advanced competitive tactics in modern day sport and also a detailed and coherent view of fitness and exercise. From a less professional perspective, wearable technology has become available in a number of forms that help encourage the public to take on physical exercise and track their improvements and achievements. One of the most well known models, the FitBit continues to release new and improved variants of its products, utilising wearable technology as a way of monitoring its wearers’ heart rates, number of steps and other physical aspects. Competitors such as Jawbone, Nuband, Sony Smartband, and Bellabeat have gained enough traction to ensure that activity trackers are now mainstream, rather than just a gadget aimed at early adopters. There are a number of products on the market aimed at the mass consumer, delivering a variety of sporting statistics and health measurables, making it increasingly more simple to see raw statistics on health and physical performance. The benefits of these wearable electronics are likely to continue changing the face of professional sporting in particular, and have the potential to become a staple part of anyone’s physical exercise regime. Wearable technology is continuously becoming more advanced and integrated into daily life. As industries become more reliant on the benefits of wearable tech, there are still some underlying safety concerns. Dr. Devra Davis from the Environmental Health Trust (EHT) notes that, ‘Wearable tech has never been tested for safety’. This fact may raise some concerns to the marketplace, especially to the mass consumer. Despite the skepticism around the safety of wearable tech, The World Health Organisation (WHO) stated that ‘To date, no adverse health effects have been established as being caused by mobile phone use’. This leaves quite an unclear picture on the safety behind wearable technology for long-term, extensive use, however products are constantly being developed and refined, be it from more complex versions of a smart-watch to a new range of VR HMD. Wearable tech will continue to become a staple part of major market places, and it can only be speculated what other potentials are in store. It is worth noting upcoming developments in the technology world, to see if or how they could benefit you. The next generation of wearable technology can see an array of advanced smart watches, new virtual reality simulators, children’s products, and that’s only the surface. What do you anticipate will be the next wearable tech advances? Have any of the recent advances in wearable technology contributed to an improvement of your lifestyle or business? Leave a comment below.